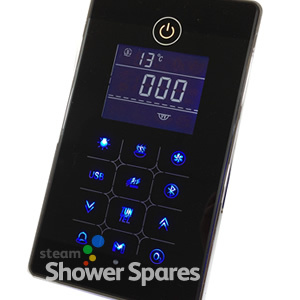 MK117B Electronic Control Pad for steam showers. 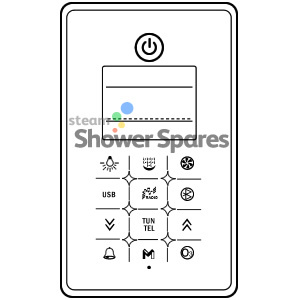 This electronics steam shower control pad offers fingertip control to the shower lights, steam time and temperature control, Ozone, FM Radio and also Bluetooth Audio streaming though the shower. Bluetooth Audio streaming allows Bluetooth enabled Smartphones, Tablets; like Android, iPad, iPhone etc, as well as Bluetooth enabled Computers to stream music once the two items are Paired. MK117U Generator and electronics sold separately. 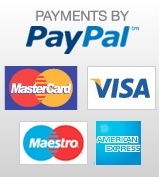 MUST BE USED IN CONJUNCTION WITH MK117B STEAM GENERATOR AND ELECTRONICS.